What’s the Difference Between Hard Water and Soft? You’ve probably heard more than enough stories about hard and soft water. You’ve probably heard that you might have hard water in your dishwasher or you have soft water in your washing machine with either option not being good enough for your needs. But what makes these two types of water so different? These are two forms of water that are different based on the particular minerals that they contain. These are different in terms of how they are organized and should be considered properly when it comes to finding water that is safer and easier for you to consume for any particular purpose you might hold. Hard water is a form of water that contains more minerals. That is, it has calcium, magnesium and many other components that can make it hard. These minerals will dissolve in water and cause the water to become tougher to work with. The biggest concern about hard water is that it makes it harder for soap in a washing machine or dishwasher to work well. It makes it to where you’d require more soap if you are to wash anything with water. It will not lather well with soap unless you add a large amount of soap into the mix. What’s more is that hard water can cause filmy deposits to develop on many surfaces. Scaling can develop to the point where the surfaces will be too rough to work with and might be harder for you to clean off in some of the worst cases. This can be a rather difficult plumbing service issue. 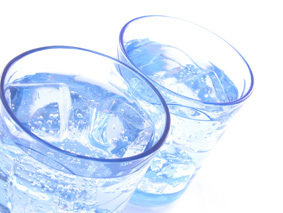 Soft water is different in that it contains fewer minerals. In particular, it is treated with sodium. This is used to create a better lather with soap and detergent products, thus making it easier for different items to be washed off properly. Soft water gets this way as salt and other sodium-containing items are added into the water. The hard minerals that cause water to become hard will be lost as their ions are exchanged for sodium ions. This in turn reduces the hardiness of the water and makes it easier to manage. However, it is important to watch for how much sodium is added. Soft water can kill plants, soil and other outside materials. It might cause water retention in some people who drink it as well, thus requiring people to watch for how they are adding it so it will not be harder to consume than needed. In short, hard water is difficult to manage when it comes to washing surfaces. Soft water is easier to work with when washing items but it might be tough on some items. Be sure to watch for how your water is being managed and make sure you find a good balance between hard and soft water if you want your water supply to stay safe and easy to manage.